To check whether you are suffering from the food intolerance, the best approach is to consult the doctor immediately and have the food intolerance test in Dubai. For this, you have to figure out what exactly is bothering you and the diet you have just taken would be the real cause. Try to note the small trivial changes in your body after eating the certain food. Check whether the specific food is disturbing you or some other factors may affect the body. How Food Intolerance is Different from Food Allergy? Although many believe that food allergies and food intolerances are a similar thing, they are in fact very different health conditions with widely varying reactions. Intolerance to certain food groups is caused by the inability to digest or process the food, often caused by the lack of appropriate enzymes. Food intolerances typically cause mild reactions such as diarrhea, bloating and abdominal cramps. Unlike intolerances, food allergies can have extremely serious effects. When an allergic reaction occurs, the immune system responds very quickly, and can result in a life-threatening reaction in the body called anaphylaxis. A genuine food allergy is a rare condition, with between only 2-4% of the population affected. Although many people believe themselves to be suffering from a food allergy, it can often turn out to be a milder form of food intolerance, and so it is of vital importance to get tested if you suspect any issues relating to food. IgE medicated, in which antibodies cause acute reactions through the over production of histamine and other chemicals. Non-IgE medicated, in which white blood cells, called T-cells, cause a slower and less severe reaction. There are three main methods used to diagnose food allergies, all of which are carried out to ensure the patient’s maximum safety. The skin prick test involves a small drop of fluid containing the allergen being placed on the skin, with the skin beneath then pricked with a needle. If the skin reddens and swells, then the allergy is confirmed. Analysing the blood for specific IgE antibodies can identify a small number of IgE medicated allergies. Non-IgE allergies can be diagnosed by the elimination of the suspected food groups from the diet. Here at Euromed, we offer the most advanced food allergy and food Intolerance tests and will be able to give you the answers you need to better understand your dietary requirements. Using the innovative Vitagene test we can get a clear picture of your genetic history and DNA makeup, allowing you to have complete knowledge of what food groups should be added or avoided. This customized diet plan will help you make healthy and informed choices, and most importantly give you the peace of mind that you are eating the foods your body needs. What are the Factors Affecting the Food Intolerance? Irritable bowel syndrome- a chronic condition that can cause cramping, constipation, and diarrhea. Celiac disease – a digestive condition triggered by eating gluten, a protein found in wheat and other grains. How Food Intolerance is Serious to Your Health? The continuous consumption of certain foods to which you are intolerant for weakens your resistance to many common illnesses and conditions. A weak defense enables illnesses to develop and take hold of your body. In some instances, it can trigger some diseases to form such as autoimmune thyroiditis, autoimmune joint diseases. Some studies have suggested there might be a relationship between food intolerance and dementia. When to Undergo the Food Intolerance Testing? If you have a reaction after eating a particular food there is a specific test that can identify the different foods that your body is unable to digest and process properly. If you identify these symptoms and you are upset with indigestion problems then do not hesitate; contact the best consultant in town to have a food intolerance test in Dubai. The cost of this procedure depends on the type of test that you need. There is the possibility that you will need just one test or more. So, it may also affect the cost. In addition to it, type of the tools and machinery needs to consider while calculating the price. We prefer a consultation as our doctors can provide you exact package by examining you thoroughly. Is there a cure for food intolerance? Yes, the experts have safe and effective treatments to cure food intolerance. An expert can suggest the right treatment once you take this test. It does not happen in general. However, it is good to make sure sometimes. If you do not have this issue, you must be happy. You can take other tests such as Toxic Metal or Nutritional test to make your diet better. Both are different issues. A food allergy involves an immune system response, while food intolerance does not. Which Symptoms caused by food intolerance & at which age Symptoms occur? How can Food Intolerances be Detected? If you believe that you are suffering from food intolerances or that you have the intolerance to certain food groups, there is a specific test that can identify the different foods that your body is unable to digest and process properly. 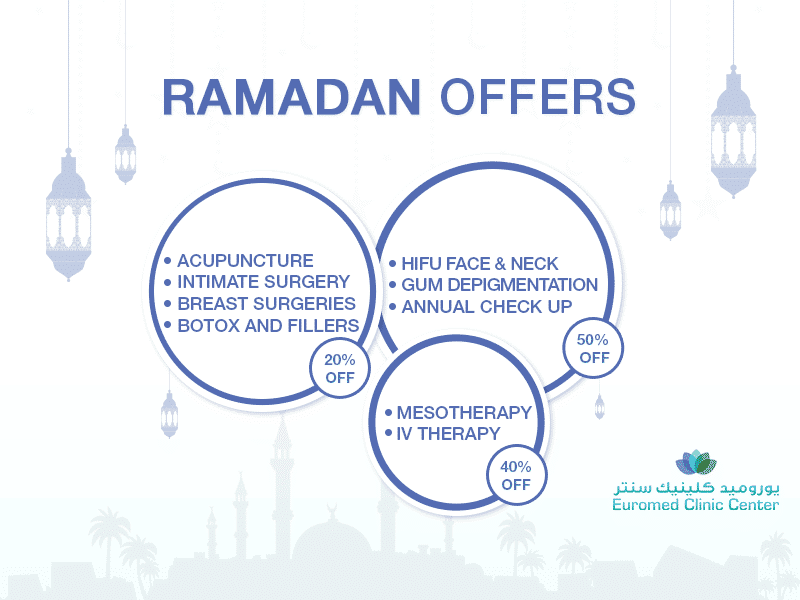 To check for information related to food intolerance tests cost and other information, get in touch with Euromed clinic Dubai & book your appointment by filling the form below. Dr. Hoda Makkawi family medicine consultant, will conduct food intolerance test and recommend what will be done after analysis of the test.